The iPad screen presents a white field with two peripherally visible columns of targets. 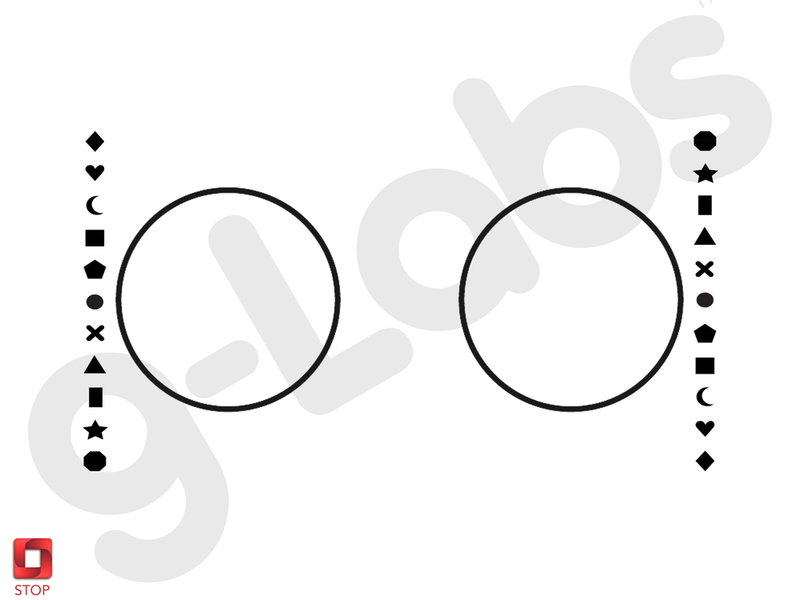 Each column contains eleven equally spaced targets separated by 148mm (the traditional pattern). The Van Orden 2 version of this exercise features a monochromatic presentation and was developed based on feedback from industry expert, Stephen Collier. Patients are asked to match one of the sets of shapes and draw a line between them until the line looks (not feels) like it touches. The app does not instruct the user which shapes to connect or the order in which to do so. Instead, the vision care specialist can guide the patient in whatever sequence the clinician prefers. How to Purchase: Available as an in-app purchase in Opto, the vision training app for iPad. 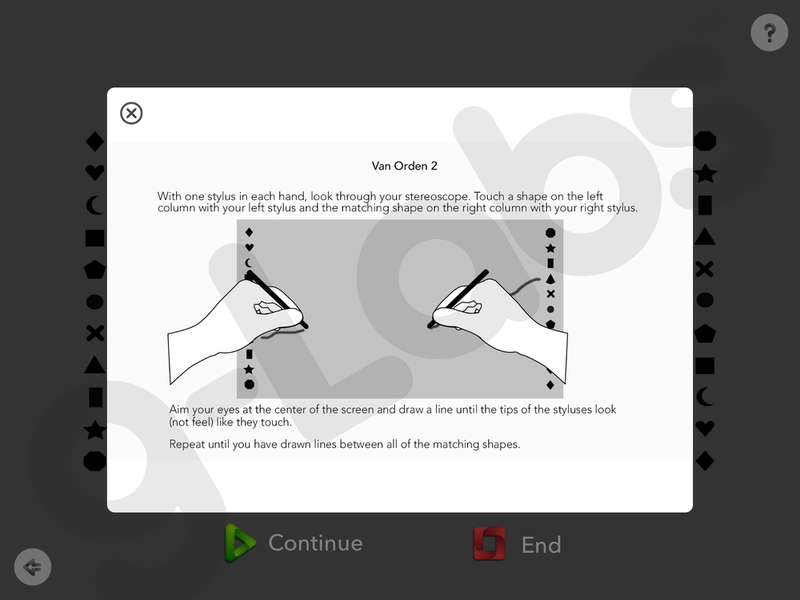 Download Opto and find Van Orden 2 in the in-app library of exercises. Available as an individual exercise ($12.99 USD) or at a discounted rate when purchased with other exercises in Expansion Bundle 1 ($79.99 USD). The Van Orden 1 exercise report includes a screenshot of the patient's drawing. Rulers indicating both centimetres and prism diopters (see screenshot), along with horizontal/vertical centre lines and guidelines indicating the ideal drawing make accurate measurement easy. Like all activities in Opto, the date and duration of the exercise is also logged. A patient assessment will be recorded if the user is signed into his/her personal profile. Note the Van Orden 2 exercise is performed in the same manner as the Van Orden 1 exercise described in the video below. Download Opto for iPad to access the Van Orden 2 exercise.